"Breathless. I am breathless. Governor Brown just signed AB 1266, the School Success and Opportunity Act, into law. Now, as school starts up again, I know that I can fully participate and just be myself." The law "...is the first of its kind in the country, and requires that California public schools respect students’ gender identity and makes sure that students can fully participate in all school activities, sports teams, programs, and facilities that match their gender identity." 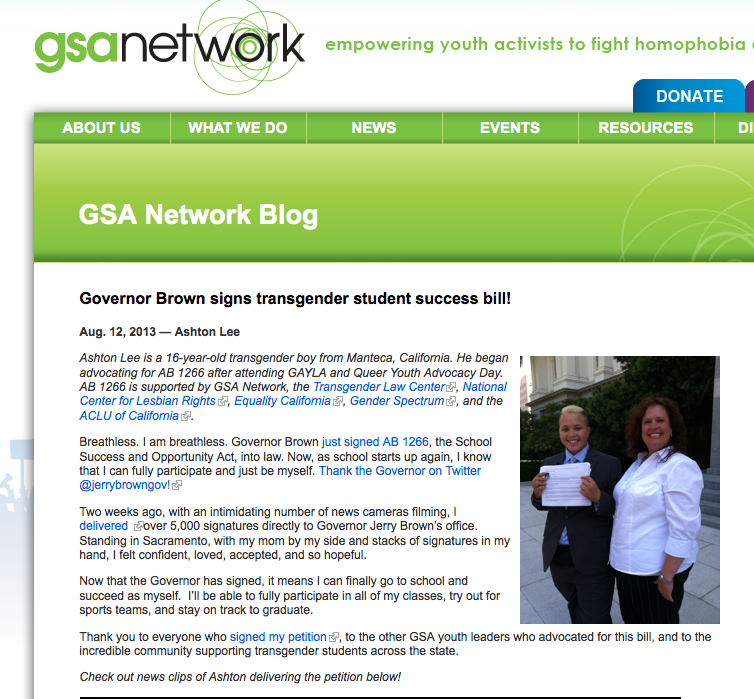 Read more about Ashton and this new law here.